Oh, sorry, make that alleged bomber. For the record, let’s establish that blowing up a plane is right up there on the list of things that are really bad to do. 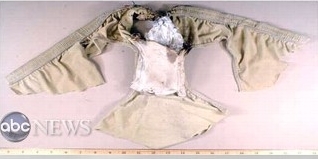 And this headline caught my eye on CNN.com: “Explosive device sewn in suspect’s underwear.” In..his..underwear. Now, I have never done such a thing, nor do I intend to, so I can’t speak from personal experience. But it would seem to me, that sewing a bomb into your underwear is a really good way to limit your career opportunities.